Anabaptists were arrested here in Switzerland during Easter, 1528. Anabaptists face persecution in other countries today. AUGSBURG, Germany—Early Anabaptists in Augsburg, Germany, paid a high price for meeting at the large white house in this picture. 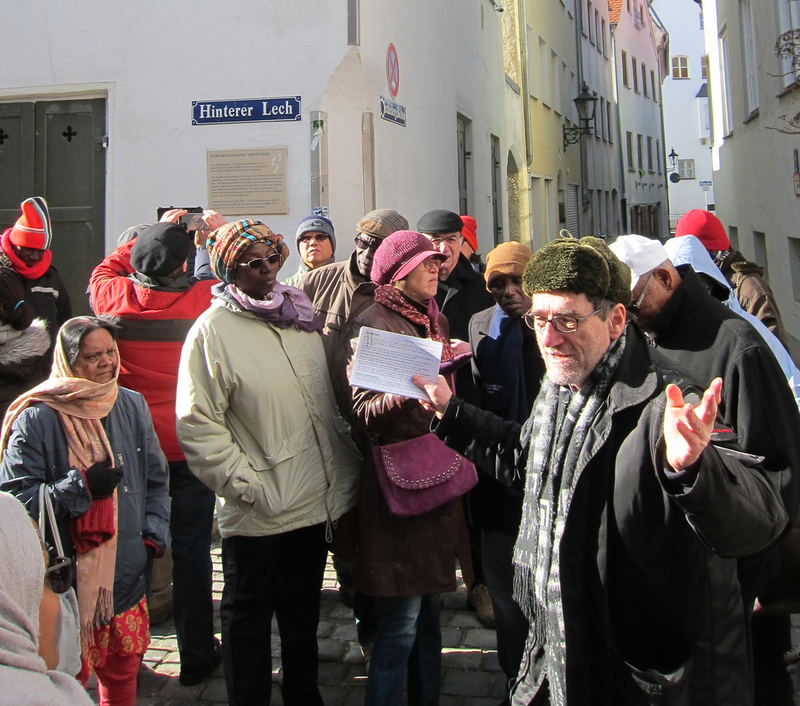 German Mennonite historian, theologian, and peace activist Wolfgang Krauss retold the story to modern Anabaptists who toured historic sites in Augsburg during meetings of Mennonite World Conference executive committee in February 2017. On Easter Sunday 1528, 100 Anabaptists met secretly in this house to celebrate the resurrection of Jesus. Some escaped when they learned that the authorities were watching, but 88 remained. Police raided the building, and took all worshippers away in chains. Authorities expelled those visiting from outside Augsburg, and whipped locals. They tortured some, and executed the group leader who refused to recant. “Thankfully, Anabaptists are not persecuted today,” someone commented—which drew an immediate reply from a man from another continent. “Yes, we are!” he said. Conversation turned to costly choices Anabaptists make today to follow Jesus in countries where Christians are a despised or marginalized minority. Let us pray for U.S.A and Korea to be with peace.